Recently I was in my local library looking for another book to read. 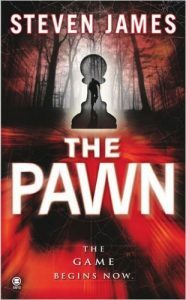 I came upon Steven James’ The Pawn, the first book in the Patrick Bowers Files series. Bower is a FBI agent whose specialty is environmental criminology. It is the analysis of time and place locations of crimes to find out their significance to the law-breaker. At the beginning of the book Bower goes back into the field after the death of his wife to cancer. His task to help solve a series of deaths in the Ashville, North Carolina area where the killer’s MO is to tie a ribbon in the victim’s hair and leave a chess piece at the scene. Bower’s task is far from easy both professionally and personally. Bower’s supervisor on the case has butted heads with him in the past. He also suspects the North Carolina governor, with presidential aspirations, may somehow be linked to the killings. It quickly raises the ire of his supervisor as does Bower’s second suspicion that a cult connected to Jamestown is somehow involved in the murders as well. He also has a teenage step daughter to raise and the friction between them and parental doubts Bower has, are making matters more difficult between them, the longer he is away in North Carolina. The Pawn was fast paced and well written. I couldn’t find a single fault with this book in its story telling or in any other way. 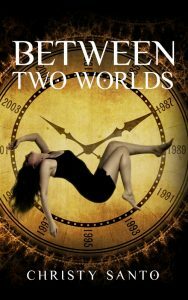 I look forward to catching up on this series and finding out if there will be future Patrick Bower books beyond the seven listed on Amazon.com.